Written by Masood Akhtar. Masood is a retired Air Marshal from Pakistan Air Force. He is presently Chairman Kashmir Education Foundation, which is affiliated as a twin-institution with Acklam Grange School. 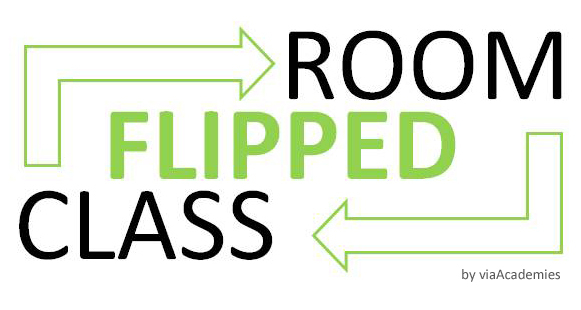 Knowledge-CAASE: An Alternate to Flip Your Classroom! Ever since my retirement from the Pakistan Air Force, I tried to get educated about the twenty-first century methods of teaching and learning. My last tenure in service was all about training and education for a very specialised and technically advanced service and its personnel. That is what introduced me to Bloom’s Taxonomy (BT) and the Cognitive-domain. We at the air force created a noun and a verb from its six rungs and called it Knowledge-CAASE. It meant: Brief-Casing your knowledge into a paradigm of thinking education. The phrase gave a feeling of Knowledge-CAASING complex concepts into practical and workable information. It simply meant that one could articulate complex ideas, from knowledge right through comprehension, application and analysis up to synthesis and evaluation. We applied the paradigm in two formats. In the military, we used it for some very complex subjects like Identity-building, Operational Strategy, Air Power Doctrine, Military Leadership and National Security Policy. With enough resources we discussed PowerPoint presentations that comprised Knowledge-CAASE questions, bulleted material for discussion and then a one line answer, all on one slide. Having animated the slide, we debated the question in 2 to 3 minutes from anything up to six different directions, then flashed the detailed bullets and in the end the one line answer. All along we used the P3B concept (pose, pause, pounce and bounce) to ensure application by all students/ members. The results were surprising. Complex material that could be learnt barely beyond comprehension, in a year’s course was handled in days, right from Knowledge to synthesis and evaluation. What I learnt as Flip Your Classroom (courtesy of Acklam Grange) meant that class work (knowledge and comprehension) was sent as home work through carefully prepared pod-casts, and remaining rungs i.e. application, analysis, synthesis and evaluation (earlier called homework) were brought into the classroom. As an alternative, we surprisingly could articulate all six rungs (up and down, down and up) right in the classroom by using the FM Knowledge-CAASE 2014 framework. This was great learning experience. We found this method most useful where students and members had the intent to learn regardless of facilities and training aids. We did not have special notice/ whiteboards, laptops, tablets, yellow adhesives, multi-media and smart boards. But armed with the Knowledge-CAASE capabilities, having diligently developed the six kind of BT questions, backed by the Building Block approach (known to unknown and easy to difficult) we could lead the students to discover their own synthesized correct versions of reality. Wherever and whenever they tended to get bogged into complexity we took them back to a simpler known and led them again by discussing appropriate Knowledge-CASE questions, to complex concepts which they could then master with relative ease. This is also where we introduced the RRR (Rehearse, Reaffirm and Reiterate) concept. We saw that we could Knowledge-CAASE and then actually RRR (used as verb) all ideas, scores if not hundreds of times to affirm the synthesized material into belief. I am grateful to Acklam Grange School, its Headteacher Ms. Andrea Crawshaw, Deputy Headteacher Jon Tait and Zahid Mehmood for exposing me and Kashmir Education Foundation to these twenty-first century ideas on education. This article is our contribution to share what we evolved here in Pakistan and contribute to the very healthy debate at the UK educational institutions. I believe this can start another small effort to enable us RRR truly Knowledge-CASSED material on difficult concepts into belief in much shorter times and provide an alternate to the Flipped Classroom.